Georafting Partners include: businesses in and around our home town of Morrison, Colorado as well as professional rafting and outdoor outfitters associations nationwide and specifically in Colorado. Geo Tours has also teamed up with the Colorado Tourism Office/Leave No Trace in an effort to promote its “Care for Colorado” initiative. 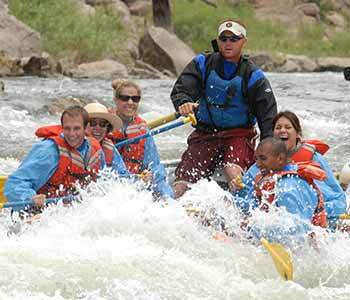 Geo Rafting is Denver’s best choice for white water rafting tours on Clear Creek, the Arkansas River and the mighty Colorado River. We’ve partnered with the fine folks at Red Rocks Beer Garden to offer a Boats and Beers Special, pairing amazing adventure on Clear Creek and tasty Colorado beer served in a relaxed patio environment. Red Rocks Beer Garden is just a few blocks away from Geo Tours-Georafting home office. The Red Rocks Beer Garden is located at 116 Stone Street, Morrison CO. For more information on our Boats and Beers special offer call 303-756-6070. GeoTours-Georafting shares the goal of inspiring both Colorado residents and visitors to protect Colorado’s special places. The Colorado Tourism Office (CTO) and the Leave No Trace Center for Outdoor Ethics collaborated to create the Care for Colorado Principles. Take a look at this video to get a snapshot of the program’s principles.